“I healed my mommys heart after her daddy passed away. Plus I’m an excellent cuddler”. I got Harley in 2003 ( he just turned 10!) a few months after I lost my dad to cancer. He healed my heart and I wouldn’t have been able to grieve the loss of my dad with out this little guy. I love him so much! 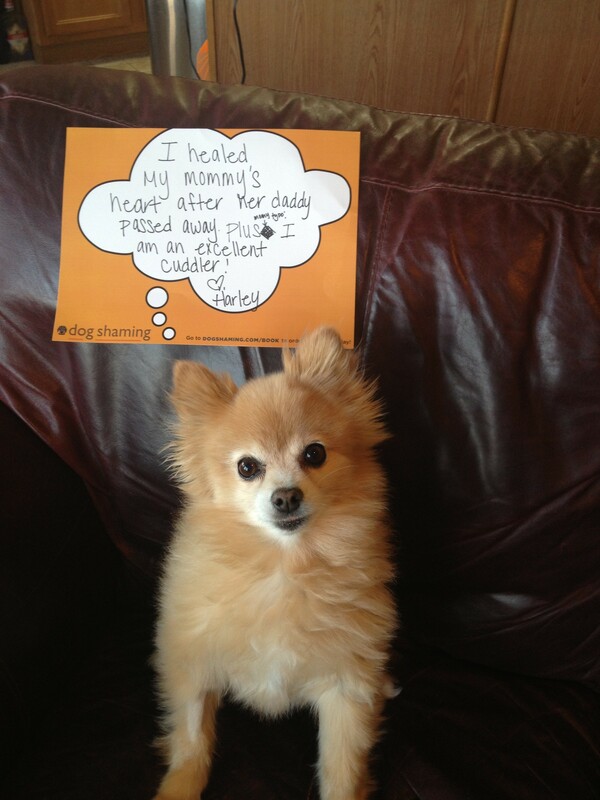 Harley is part of our Reverse Dog Shaming Contest. 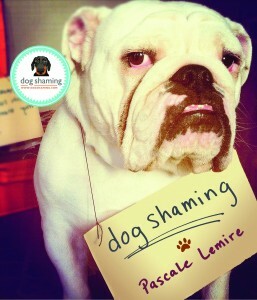 If you’d like to participate, feel free to submit your pet here. Awwww, what a sweet pumpkin! Did he have surgery? His front leg is shaved. Hope he’s OK! This made me tear up. Dogs are such angels for us. What a wonderful baby he is!! This one made me cry. It’s amazing what a pet can do to raise our spirits.